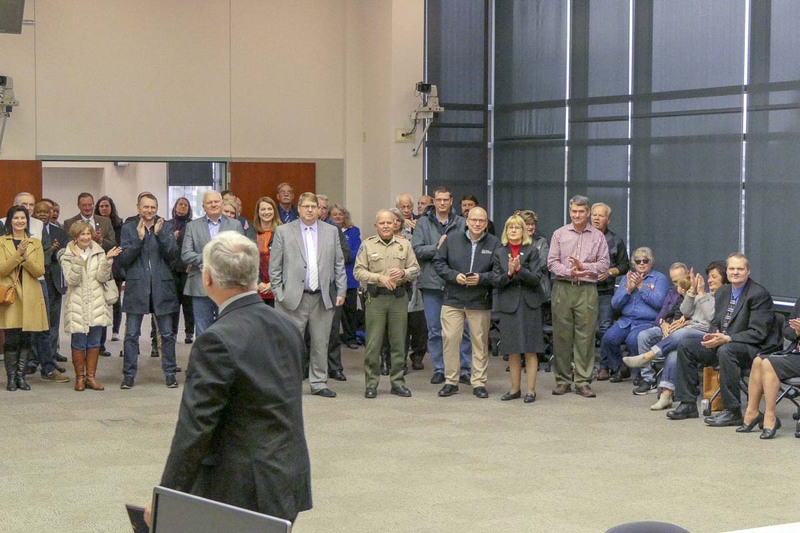 CLARK COUNTY — Cake was cut, kudos were offered, and the county bid an unofficial farewell on Tuesday afternoon to Chair Marc Boldt and Councilor Jeanne Stewart. Both will officially end their terms on December 31. Boldt has been in elected office for most of the past 23 years, first serving as a state legislator in the 17th District from 1995 through 2004. He then spent seven years on the three-member Board of County Commissioners before being unseated in 2012. A year later he was elected to the Board of Freeholders, which created the Home Rule Charter which changed the county’s form of government to a five-member council, with only the chair as an at large seat. Boldt then went on to win the county chair seat in 2015. 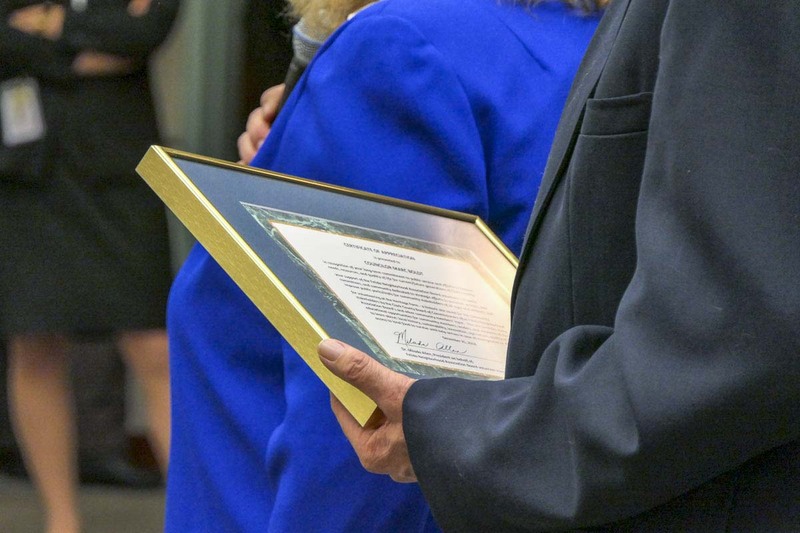 Boldt is being replaced by current District 4 Councilor Eileen Quiring, who helped to present certificates of appreciation to both Boldt and Stewart. 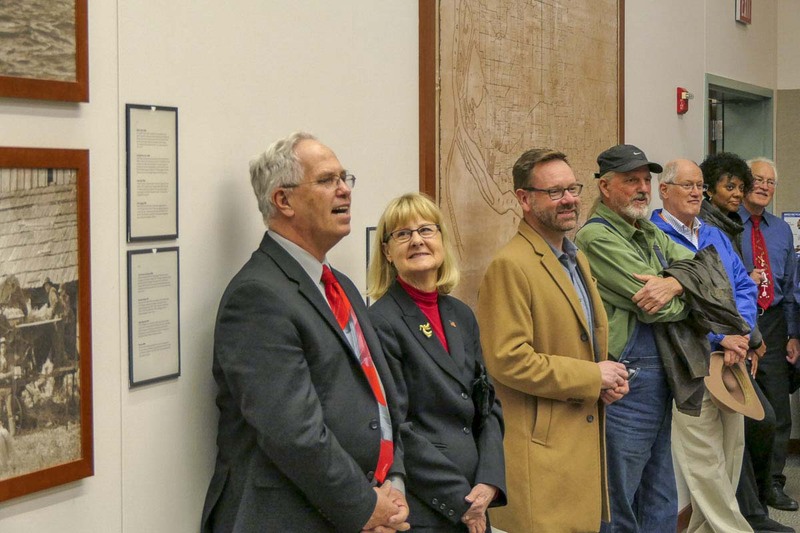 Stewart previously served 12 years as a member of Vancouver City Council before being elected to the then-County Commission in 2014, shortly before the Home Rule Charter took effect. The Republican was then assigned to District 1, which represents most of downtown Vancouver. She was handily defeated this year by Democrat Temple Lentz, who was also on the Board of Freeholders. 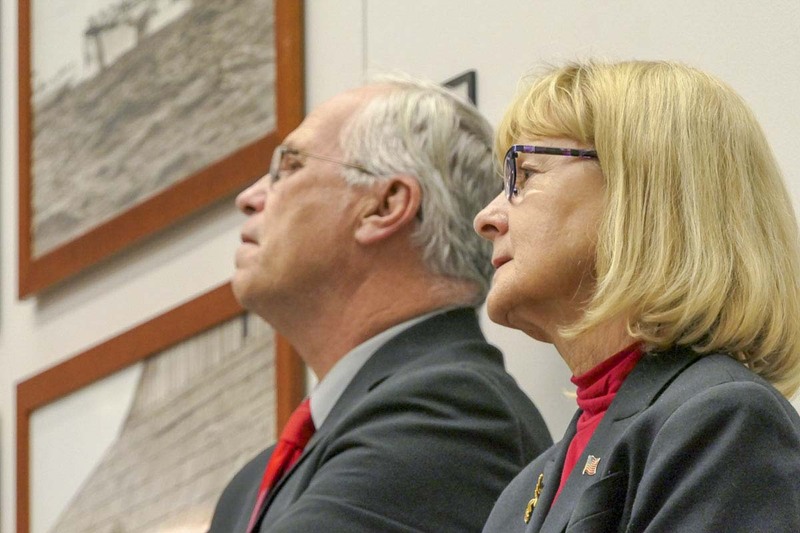 Stewart said she has appreciated the fact that the council can disagree, sometimes strongly, and yet always find a way to reach consensus and move forward. Boldt says he’s most proud of the mental health sales tax, which has helped to fund new resources for mental health treatment in the county. He also helped to get the 78th Street Heritage Farm on the National Register of Historic Places in 2013, and create the Agency for Aging to address the county’s growing number of elderly residents. His biggest regret, he says, would probably be missing out on landing a Minor League baseball team, which eventually became the Hillsboro Hops. While Boldt and Stewart both heard plenty of nice things on Tuesday, they’ve received their share of criticism as well. Boldt said he’s had to develop a thick skin, especially given his accessibility as a local elected official. “When you go to Olympia or DC, you know, you don’t see them people in Safeway,” he says. Boldt isn’t sure what he’ll do next. He says he may dabble in government policy, or he might go back to driving commercial trucks, which he did for decades before becoming an elected official. He adds that what he’ll miss most are the people he’s gotten to know every day in his job as head of the county.